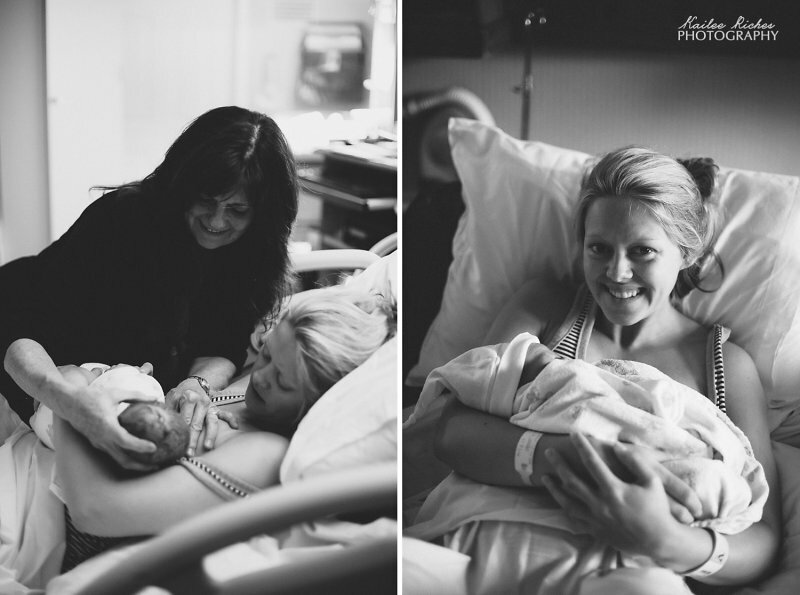 The birth of our baby, Noah, was an incredible experience and I will never be the same. Noah took his time coming into the world with a 29 hour labor from my first contractions to his delivery. I remember waking up on Sunday night at about 11 p.m. I noticed that the contractions were much more real than the Braxton Hicks I had been having and they were not stopping. I remember thinking “surely this isn’t really it?” since in my mind he was probably going to come late and his due date was not until Thursday! But oh no, it was real. I was getting out of bed every 10 minutes to retreat to a comfortable position on the floor. I decided to wake up my husband, Drew, at midnight and he began timing the contractions. We knew they were early labor contractions but we went ahead and contacted Mary Anne, our doula. Fast forward about 15 hours to Monday afternoon. The contractions had become more intense but not consistent in their time apart. I was already getting worn out and active labor had not even begun. That afternoon Mary Anne ended up coming over to check me and I was only 3 cm dilated. I was of course surprised that I wasn’t farther along but it was encouraging to have her there to confirm that our baby boy was on his way!! Thankfully only an hour later they were finally 4-5 minutes apart and at about 7 p.m. we left for the hospital. I was very excited to get there, have a change of scenery, and get in a tub! At this point of active labor I remember I began to get into that “state of mind” they told us about in birthing class. It was almost like a different consciousness. The pain, well it was bad, I had back labor and at times I didn’t know if I could go much longer. 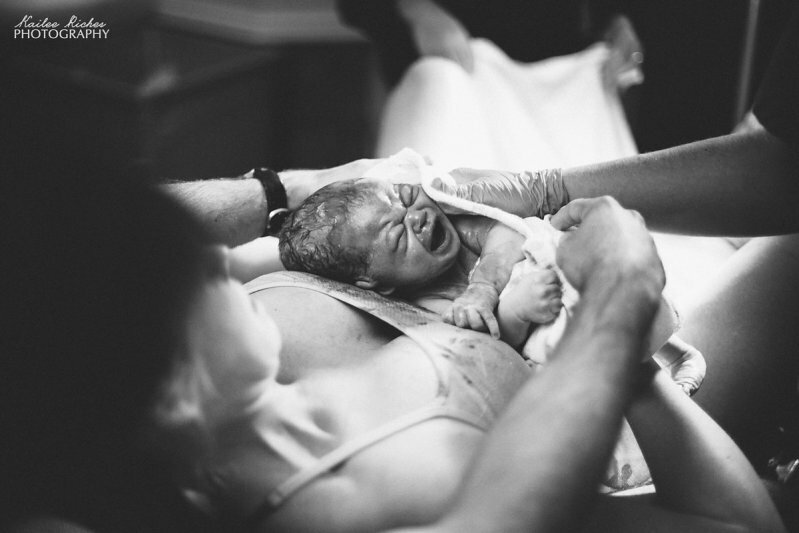 What kept me going was the fact that I had decided to go have him naturally and wanted to experience every part of his labor and delivery, every pain, every tear. The Lord had taken Drew and I through a time of infertility which was very saddening and painful to walk through, so with this long awaited and miraculous pregnancy I wanted to feel and experience every part of it. I spent a lot of time in the tub and shower which was amazingly comforting. The night was long and seemed never ending at times. 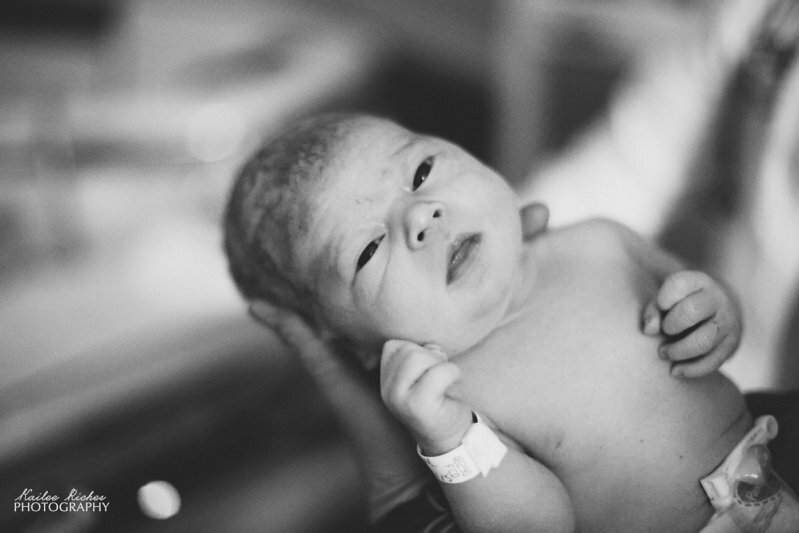 Finally after 2 ½ hours of pushing our sweet boy arrived at 4:50AM on Tuesday morning. 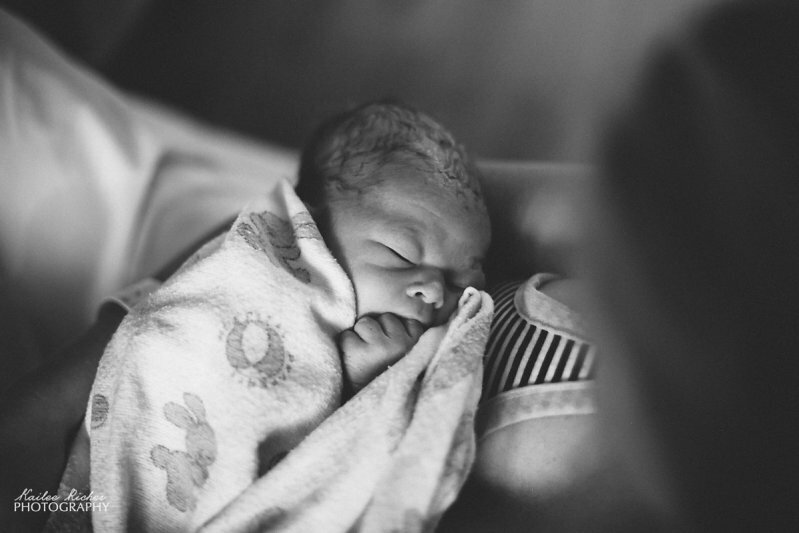 When I held Noah in my arms I remember being completely overwhelmed in every way. In love, physically exhausted, emotionally high, and in amazement that God had created such a beautiful baby boy that He entrusted me to mother. 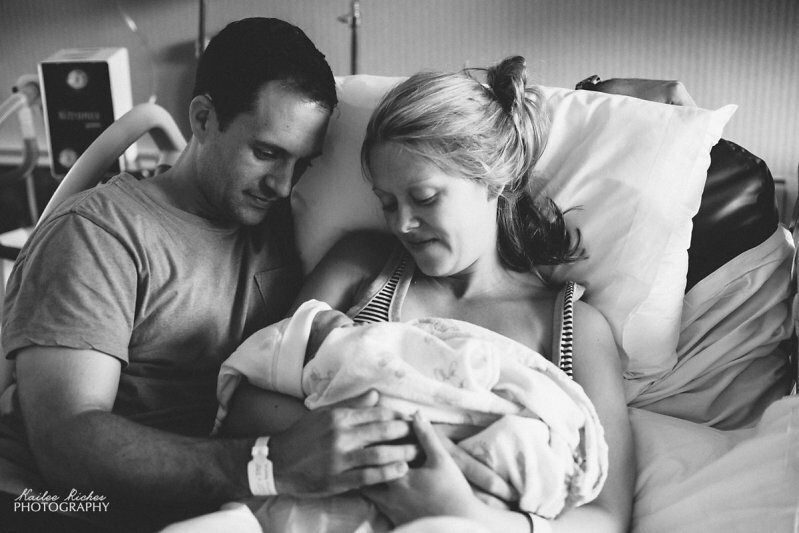 I will never forget the experience of his labor and birth and the amazing team that walked and cared for me through it: my husband Drew, Mary Anne (doula), Kailee (photographer that amazingly stayed with us ALL NIGHT! ), Amanda (midwife) Courtney (nurse), and many more. I am forever grateful for their kind words of affirmation and love throughout the wee hours of that night. Most of all I thank God for giving me the strength to bring Noah into the world naturally, only by His power and the amazing way He has orchestrated our bodies to bring new life into this world. 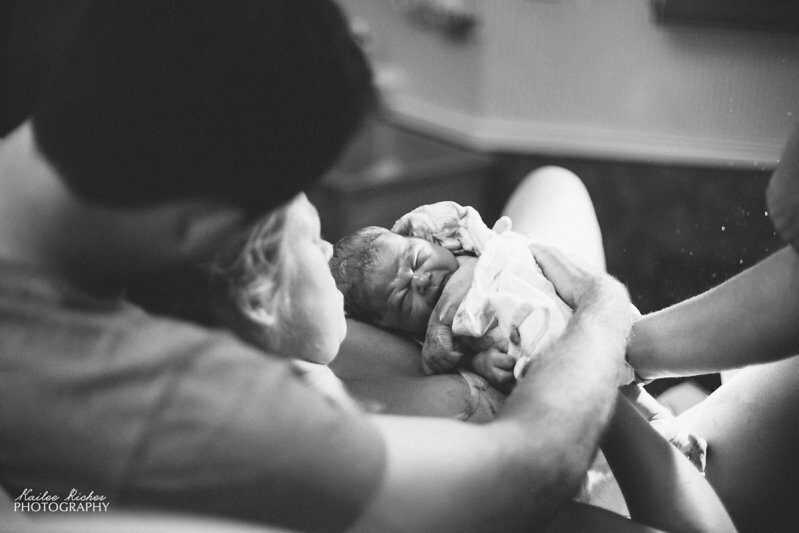 Kailee was able to capture such sweet moments of Noah’s labor and delivery that our family will always cherish!